MoTAS Weekly for 9/10/14: Starting The Programming Year Right! IF YOU TELL A JEW IT IS ELUL… HE’LL WANT TO BUILD A SUKKAH! This coming Sunday, September 14 at 8:45 AM, everyone is invited to join the Men of TAS in Activity Center 5/6 for our first speakers meeting of the programming year. These meetings are held concurrent with the Sunday school sessions, so drop of the kids and get to know us. Our meetings feature a scrumptious breakfast typically consisting of bagels, lox, eggs, cookies, fruit, juice, and coffee/tea (donations appreciated). 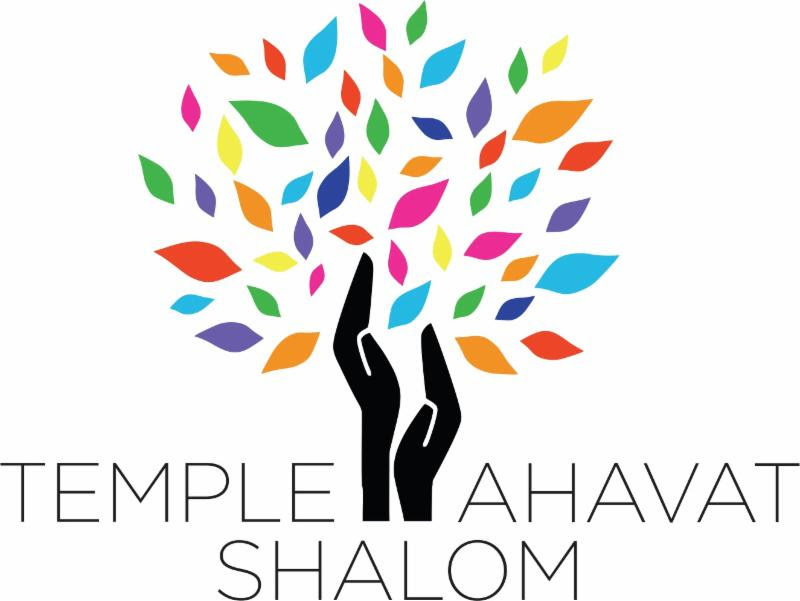 Our normal monthly membership meeting follows at 9:00 AM (d’var torah, introductions, and a review of upcoming activities); the speaker starts around 10:00 AM. We’re done in time for you to pick up your kids. This month, our topic is “Jewish Institutions of the Sepulveda Pass“. It was the reason for Carmaggeddon and Son of Carmaggeddon. It is what many of us slog through on our way to work every day. It is the Sepulveda Pass, and it is also the home of three major Jewish institutions: Stephen S. Wise Synagogue, the American Jewish University (the former University of Judaism), and the Skirball Center. Why are so many Jewish institutions clustered in the Sepulveda Pass? The answer is that the Jewish institutions that line the Sepulveda Pass offer physical evidence of LA Jewry’s westward movement and a glimpse into the beliefs and ideals that helped shape American Jewish observance and culture over the past fifty years. Dr. Erik Greenberg, Director of Education at the Autry National Center and participant in the UCLA Center for Jewish Studies’ web project, Mapping Jewish LA, will explore and explain the connections between the Jewish institutions of the Pass and their connection to some of the most significant developments in postwar American Jewish thought. Volunteers Needed to Setup. Two of our regular setup volunteers will be unavailable Sunday morning. If you can arrive early to help us set up, it will be greatly appreciated. Golf Committee Meeting Afterwards. There will be a brief Golf Committee meeting after the speaker, for those who want to help the Golf Tournament. without players. We need sponsors and advertisers. Advertising — both at the tournament and in the ad book — is key to the financial success of the tournament. The more successful the tournament; the more MoTAS can help TAS and its partner charities. We need donations. These are used on the silent auction table and for special prizes. To give you an idea of what will be available, here’s a short list of what we have so far: gift certificates from Roger’s Rib Shack, Weilers Deli, Brents Deli, Stonefire Grill, Emles Restaurant, California Pizza Kitchen, Chi’s Chinese Restaurant, Marmalade Cafe, Lazy Dog, Laemmle Theatres, and Dream Dinners; certificates for free bowling (including shoes and a pitcher of soda) at Matador Bowl; a Badminton / volleyball set; a Men’s high quality wristwatch; a USA swim team framed cap signed by members of the team; a USA swim team pennant signed by members of the team; a CBS-logo jacket; a CBS-logo baseball cap; a round of golf for 3 at Bel Aire Country Club; and a divot tool with MoTAS logo. P.S. : Sisterhood will also be running Mah Jongg for those interested during the Golf Tournament. For more information, contact Anita Hoch, the Sisterhood Mah Jongg chair, at 818-360-0160 or email anitapearl47@gmail.com. It is a great alternative if you don’t want to be on the course. Dinner tickets will be available for purchase. We’re pleased to announce that the Fall 2014 Football Squares Board is completely full. This means $3,000 will be available for temple projects at the end of the football season. If you want to see an example of what the Sports Squares program supports, come to the Sunday Speakers Meeting. At that time, we’ll be presenting a Jewish Lights Pamphet display to TAS to support the Caring Community. As I write this, the first Monday Night Football game has been played. The grid was sent out last Sunday; I’m please to announce our winners for Week 1: San Diego at Arizona: (Q1) SD 0, Az 0: winner: Cheryl Hatkoff; (Q2) SD 3, Az 6: winner: Ava Silver; (Q3): SD 7, Az 6: winner: Heidi Lauer; (Final) SD 7, Az 8: winner: Bob Brostoff . Congratulations to all. Winner’s checks will be sent later this week. Reminder: for each of the first three quarters the payout is $25 per quarter; the final score is $50. Next game, 9/15 is Philadelphia at Indianapolis. The grid was mailed earlier this week; posting of results may be delayed as the gridmaster is off on a cruise. and outcomes – and what we can do, as a Jewish community in America, to speak out in support of Israel. On Tuesday, September 16th, Stand with Us will be doing an adult education program about Israel. We will have two separate programs on Tuesday, September 16th, one will be for confirmation and post-confirmation students, and the other will be for adults of all ages, including parents of high school and college students. For adults, we will start at 6:00 p.m. with some wine and cheese and then move into the program by 6:30. Students should come for pizza at 6:00 and their program will start at 6:30 as well. 6. IF YOU TELL A JEW IT IS ELUL… HE’LL WANT TO BUILD A SUKKAH! Holy Days. If a Jew is preparing for the High Holy Days, they will know that Sukkot is not far way. And, if you tell a Jew — especially a Man of TAS — that Sukkot is not far away, they will start readying their gloves, Allen wrenches, zip-ties, and other accoutrements of construction. Why? Because Sukkot means it is time to build a Sukkah. Start marking your calendar for the first Sunday in October, October 5th, at 8:45 AM. That morning, we’ll gather together under the watchful eye (and voice) of our Sukkah Foreman, Robert Levin, to build our Sukkah. I find this one of the most fun activities of the MoTAS year—men working together to build something. Come join us for the fun. RSVP at http://www.eventbee.com/event?eid=103328412. You’ll get a “ticket” confirming your RSVP, but no ticket is required to participate. The best way to build a relationship with someone is to get to know them. In support of this, we’re using our weekly newsletter to introduce you to the Men of TAS, starting with this year’s officers. If you’re a man of TAS — especially if you’re a regular participant in MoTAS activities — we would love to share your bio. Just mail it to president@tasnorthridge-motas.org. This week, I’d like to introduce you to Steve Zidell, who was on the executive board of MoTAS last year. Steven Zidell is a partner at the law firm of Wolf, Rifkin, Shapiro, Schulman & Rabkin, LLP. Steve’s practice focuses on transactional real estate and corporate matters. He has published several articles on real estate and business law topics. Steve graduated from UCLA’s School of Law in 1985 and before that received a B.A. in Economics, also from UCLA. He has been married to his wife, Maria, for over 25 years. He has two kids, both in college. Steve enjoys snow skiing, reading, hiking, movies and chess. I’m pleased to report that we have established the Mens-Only Hang-Out schedule for the year. These are informal get-togethers of small groups of men only, typically with a discussion topic. Discussions are confidential to the members of the meeting. Meetings take place on Sunday evenings on even-numbered months. They typically start at 7:00 PM for dessert and wine; there are occasional dinner meetings that start at 6:00 PM. The meeting is over around 9:00 PM. Sunday, October 17 19, 2014. 7PM. Sunday, December 21, 2014. 6PM. Chanukah Food Extravaganza. Sunday, February 22, 2015. 6PM. Hang Out With The Rabbi. Sunday, April 12, 2015. 7PM. Sunday, June 14, 2015. 7PM. The monthly Executive Board telecon was held last Monday, September 8. The minutes will be posted to the “Resources -> MoTAS Administration” page on our website as soon as they are finalized. Remember that the Executive Board telecons are open to all — the Executive Board believes in transparency. Information on how to dial in may be found on the same page with the minutes. At the Executive Board meeting, the Executive Board approved a nearly final budget. This budget is undergoing final review, and will be posted on the “Resources -> MoTAS Administration” page on our website before the Sunday 9/9 meeting. At the meeting, a call will be made for comments on the draft budget. These comments may be submitted via email, in writing, or at the October Executive Board meeting. At the October Executive Board meeting, any final changes will be made to the budget, and it will be presented for a final up/down vote at the October Speakers Meeting. We are moving to this approach to streamline the Speakers Meeting and attract new members. A big thank you to all of the volunteers at the Pancake Breakfast: Scott and Alia Yollis, Joel Lowell, Joe Blachman, Les Birken, Daniel Faigin, Barry Mann, Mike Thornhill, Bob Levine, Dave Friedman, Steve Rosen, Bill Shapiro, Fabian Malinovitz, Peter Coopersmith, Frank Soronow, Roger Lowe, Mike Rayfield, Steve Zonis, Howard Miller, Rick Mervis, and Kathy Pullman.